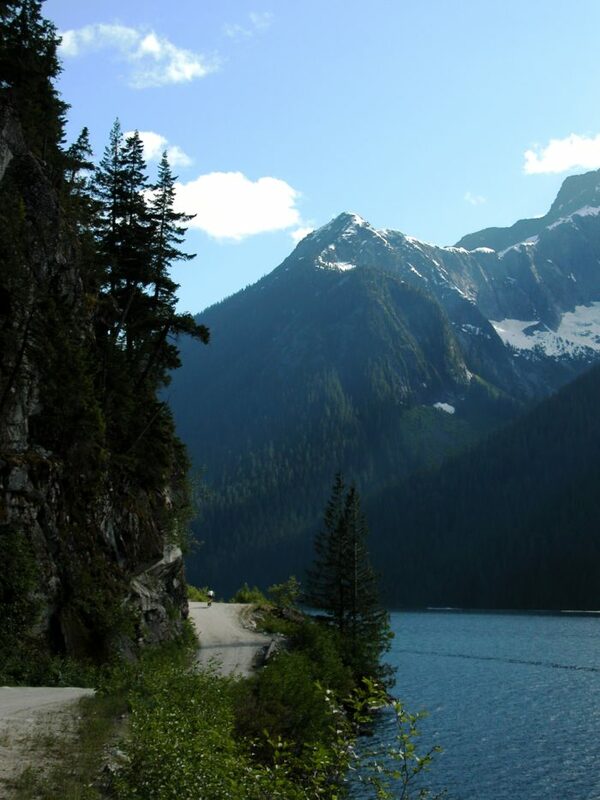 In 1992, as part of Canada’s 125th anniversary celebrations, the Trans Canada Trail Association was founded with the dream of connecting the second-largest country in the world with a single trail (network). 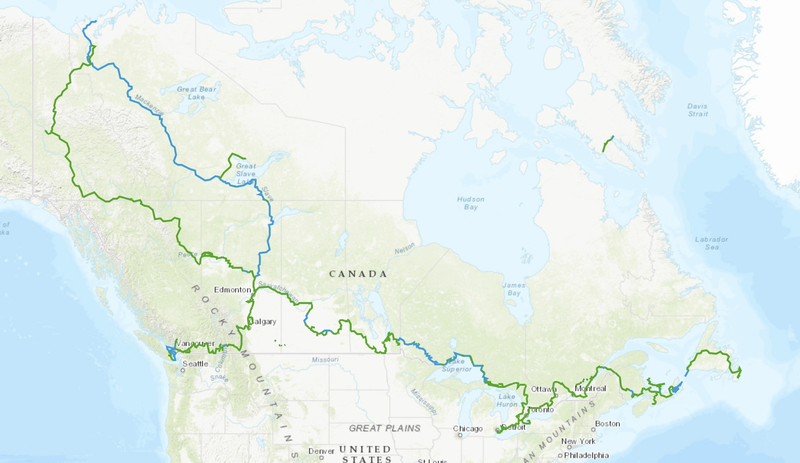 Exactly one year ago today (and in time for Canada’s 150th celebrations) the Great Trail (previously called the Trans-Canada Trail) was proclaimed 100 percent connected. A Triple Crown-equivalent in terms of distance, it spans (as of 2018) 24,134 kilometers (14,996 miles) from sea to sea. 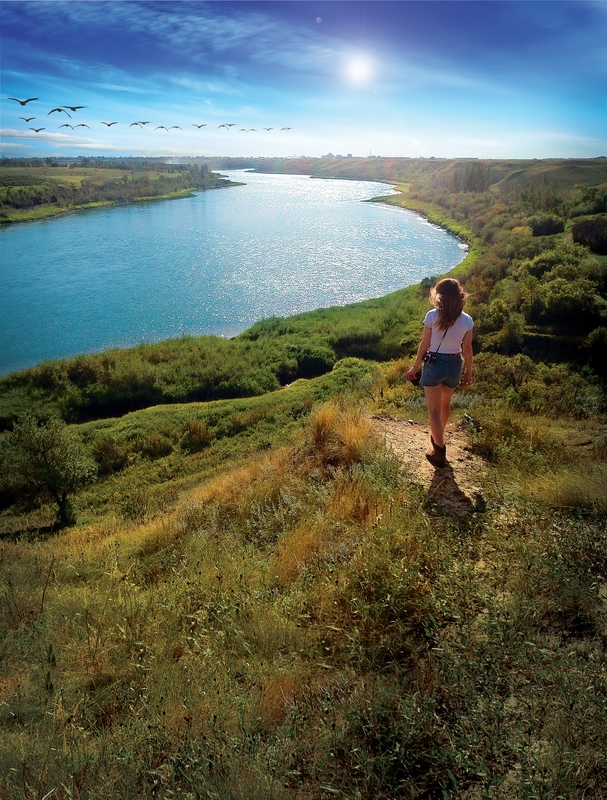 Eighty percent of Canadians live within 30 minutes of the trail. It is considered to be the longest recreational trail in the world. 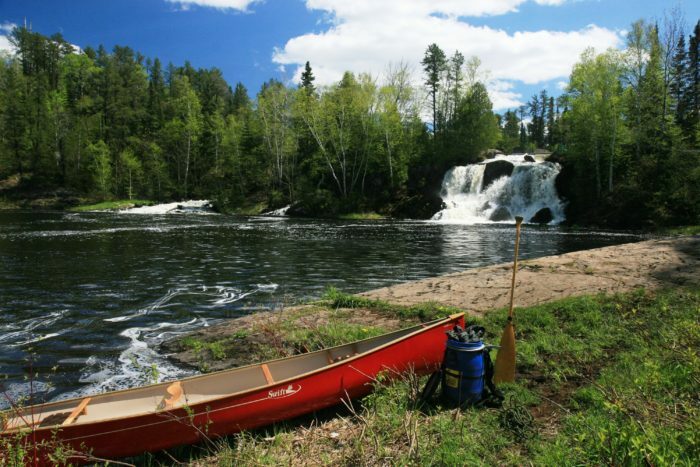 In truth, the Great Trail connects dozens of local hiking, biking, and water trails and roads into a grand network that connects communities across the country to diverse wilderness regions. In addition to hiking, you can also bike or ride horseback; some sections must be completed over water by canoe, kayak, raft, or ferry. Some hikers branch out and dog sled, long board, paddle board, or even tube. This trail boasts very few long-distance hikers. Instead it is populated by day or section hikers, and cyclists doing longer stretches. Notable exceptions to this include Dianne Whelan and Sarah Jackson, two of the Great Trail’s few thru-hikers. Permits are generally only needed off trail or if you are intending to hunt on trail. Camping beside the trail is allowed in most areas, though national and provincial/territorial parks may require advance reservations. Canada contains 20% of the world’s freshwater so getting water along the nature sections of the trail is not difficult. However, long road sections are more complicated. The trail passes through many towns, large and small, where you can resupply and get water. There is a huge variety in the conditions of the trail across the country. Overall, the winter will be more extreme and require significantly more gear. The eastern coast of Canada is colourful and charming. Many of these trails will trace the coast of the Atlantic ocean; PEI is home to rusty red beaches while Newfoundland has beautiful seaside cliffs. You may even be lucky enough to spot whales from these shores. Some French language skills will aid you in New Brunswick (and carry you through Quebec). The PEI section cannot be completed in the winter as the trail is designated for snowmobiles throughout the snow season. Photo courtesy of the Trans-Canada Trail Foundation. Crossing Quebec and Ontario, the terrain changes to the quintessential Canadian Shield. Bedrock juts through the thin soil layer in proud cliffs and outcrops. There are fewer deciduous trees here, except for birch and poplars dotting amongst the copious coniferous trees. In the last Ice Age, glaciers carved basins in the bedrock which now house hundreds of small lakes, many of which connect to each other by rivers. Southern Ontario and Quebec are more fertile and populated. Quebec in particular has excellent spans of bike trails, both paved and unpaved. They pass through rolling green hills and farmland, and quaint local towns with names like Asbestos, QC. I’ve done several sections of the Great Trail in Quebec by bicycle and found them all to be smooth sailing. We stayed in motels for this section, though there are some campgrounds. It’s easy to find accommodations using Warm Showers or Couch Surfing as there are a lot of good hosts in the area. I won’t kid you here. The prairies are real flat. Partway through Manitoba, the Canadian Shield transforms into the Canadian equivalent of Kansas. Fields, crops, mining, and a sky so big it could eat you up. The Crow Wing Trail follows a Red River Ox-Cart Trail used in the 1800s. It passes through a classic prairie landscape of tall grasses and wildflowers. This section also contains one of the longer water trails in the Great Trail – the Chief Whitecap Waterway. In addition to big sky sunsets, there are white sand beaches. If you travel south to north, you’ll be coasting downstream the entire way. This is the most mountainous region in Canada and will provide some of the most dramatic views in the country, from stunning peaks to mountain lakes, to river valleys that go on for days. Many distinctive features of this region were carved out by glaciers in millennia past, the effects of which are visible to this day. The High Rockies trail in Canmore is a good choice for mountain biking or skiing, depending on the season. 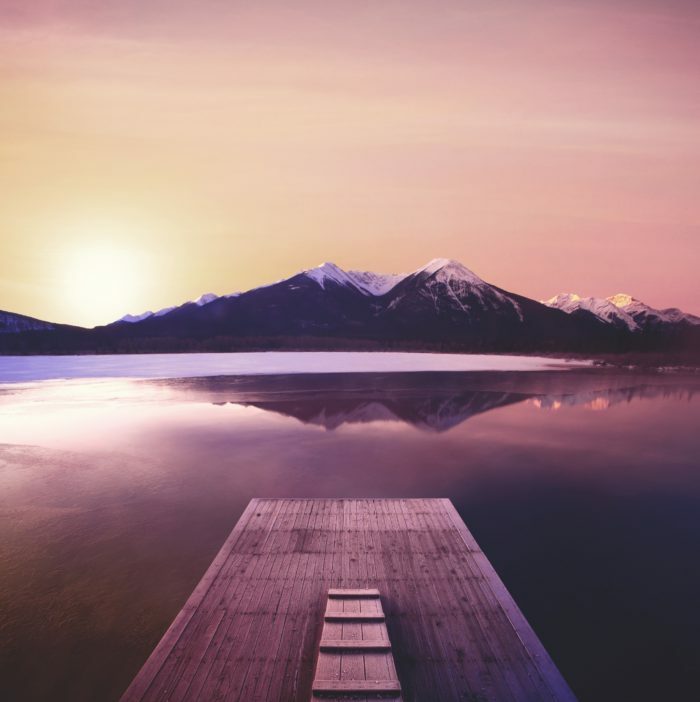 It passes through three Provincial Parks – Bow Valley Wildland, Spray Valley, and Peter Lougheed. Note: Much of this section is currently under a fire ban due to severe wildfire conditions. For more information, check here. This is the only place in Canada that you will find true rainforests. Huge Douglas fir and redwoods provide some cover from the regular rainfall. Trestle bridges pass over salmon-bearing rivers and gorges. Apparently, there is good trail magic in this section. This region is much more temperate, rarely seeing much snow. However, there is a significant amount of rain here. If you want to avoid as much of the rain as possible (though you will never completely miss it), do this section mid-summer. Above the 60th parallel must be defined as its own section of the GT as the landscape changed drastically from the rest of the country. This is another area with a huge sky. The sunrises and sunsets light it afire, and the Northern Lights are more beautiful than pictures can possibly describe. 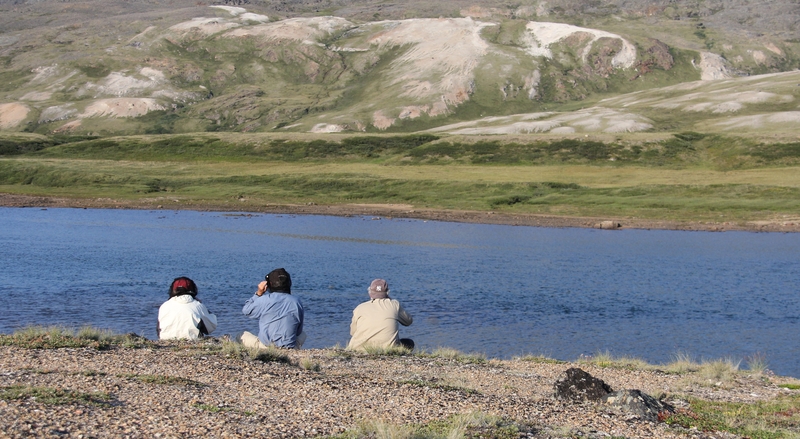 Itijjagiaq Trail follows a traditional caribou hunting route and can be done overland or by water. In the summer, it is covered with berry bushes. The distance between resupplies is magnified up here, with hundreds of kilometres between towns in the Arctic (though that is an extreme case). It may be necessary to get assistance with resupplies to break up the longer sections. Many trails in this section are frequented by snowmobiles, so it is essential to be alert for them during the winter. Connecting B.C. to Eastern Canada by railway was once considered a crowning economic achievement in connecting this vast land into one country. It seems fitting that many sections of the Great Trail are built upon decommissioned rail beds in an attempt to connect the people of Canada through nature. This project is immense, so sections of the trail are managed by local bodies while the Trans-Canada Trail Foundation pioneers the dream of a complete Canadian trail network to span ecosystems and geology as diverse as one could imagine. The trail community is not yet as strong in Canada as on the US trails like the AT and the PCT, but hikers of the Great Trail say that it is growing. Although the Great Trail has been declared officially complete, significant sections still follow roads and waterways. For your own safety, if you are considering completing a section of the Great Trail, be sure to know exactly what you’re getting into. If you are interested in learning more about the Great Trail, check out this fantastic interactive map tool which allows you to zoom in on sections and learn more detail about them. It’s a fantastic tool, you can map out distances between areas, looking into details of regions, and create specific elevation maps of sections. You can view satellite imagery, street maps, or topographic information. If (like me), you’re more of a spreadsheet person, check out this Great Trail Planning Omnibus which combines info from the TCT and other sources. Special thanks to Mel Vogel, and Aidan Beckett who graciously answered my questions about their experiences on the Great Trail; and to Jane O’Faherty from the Trans Canada Trail Foundation for answering my questions and providing the photos found in this article. Bon courage, and happy hiking. Very nice!! I didn’t know anything about it until now. Having only just learned about it and only been in Canada twice, I’m no expert but I did notice one small under exaggeration. “A Triple Crown-equivalent in terms of distance, it spans (as of 2018) 24,134 kilometers (14,996 miles) from sea to sea. ” Not even close!! Your Great Trail is far more grand!! If you include the AT, PCT, CDT, North Country Trail, Ice Age Trail, and the FL trail you’re still a couple of hundred miles short of 14,996. Thank you for bringing this trail to attention!! Nothing wrong with EPIC and poetic! !